I did announce this on my Facebook page already but I hadn't made an official announcement here on the blog yet! I'm SO excited to be joining the Core'dinations ColorCore Cardstock Design Team 2013-14!! Eeeek!! I had already accumulated a great stash of Core'dinations cardstock because I really fell in love with it once I started it using it, so I'm delighted to be now be on the Design Team and I get to play with it until my heart's content!! Here I used some Tim Holtz Kraft-Core from the Nostalgic Collection (one of my fav's), embossed using Couture Creations Venus Crest and rubbed with some gilding wax. 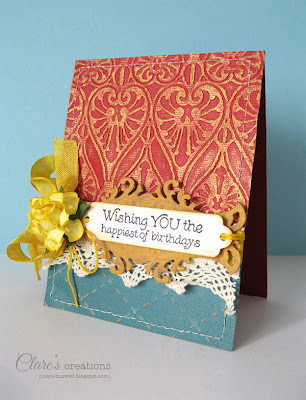 It really highlights the embossing and brings out the fabulous texture of the cardstock. 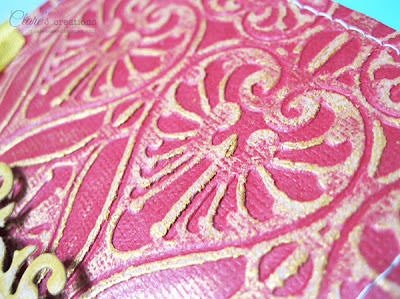 The tag I die cut from some more Kraft-Core and Spellbinders Fancy Tags Two. The label (Spellbinders Double Ended Tags) is stamped with a sentiment from Vintage Clocks from The Craft's Meow. The teal cardstock is also from Tim Holtz Kraft-Core Nostalgic Collection, embossed with the In Stitches embossing folder from Craft Concepts and sanded with a sanding block. I'm still pinching myself, I can't believe I'm on this fabulous team. Check out the rest of the talented ladies on the 2013-2014 Core'dinations ColorCore Cardstock design team here. Thanks Tracy! 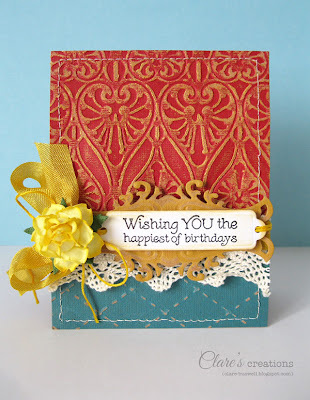 I love Core'dinations Cardstock! Really excited to be on the team! Hello from Ballina-Killaloe here in Clare/Tipp border!! Congratulations on making the Core'dinations team!! 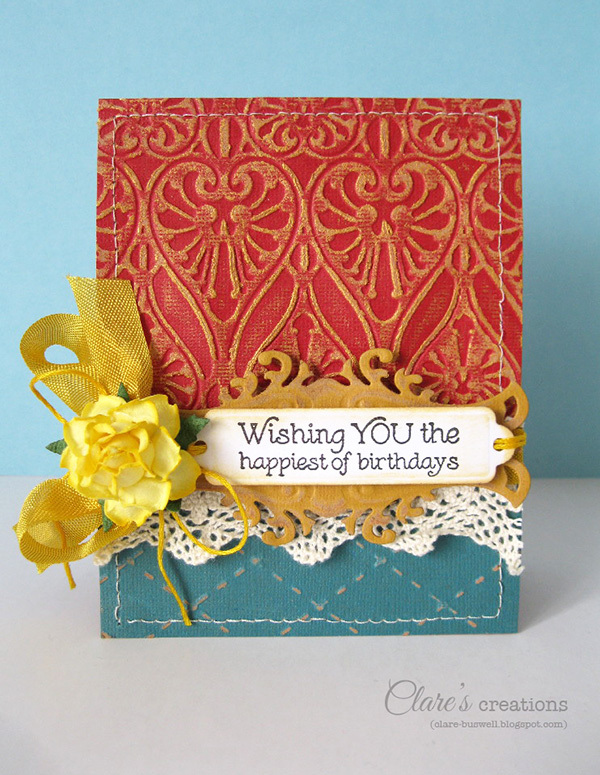 I am excited to see you using a Couture Creations folder, I just made their team last month!! They are so lucky to have you! LOVE what you create! BIG congrats to both you and them! Super big CONGRATS! So excited to be designing with you! 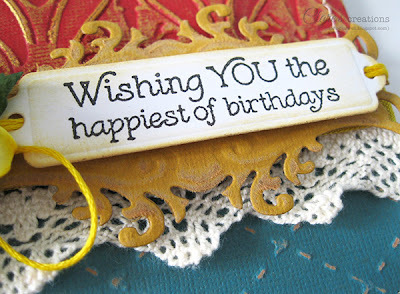 Totally love this beautiful card you shared. Huge congrats and so very well deserved too, you will do them proud! !